Forever Footprints has several support opportunities for all of those effected by pregnancy or infant loss: mothers, fathers, siblings, grandparents, family and friends. 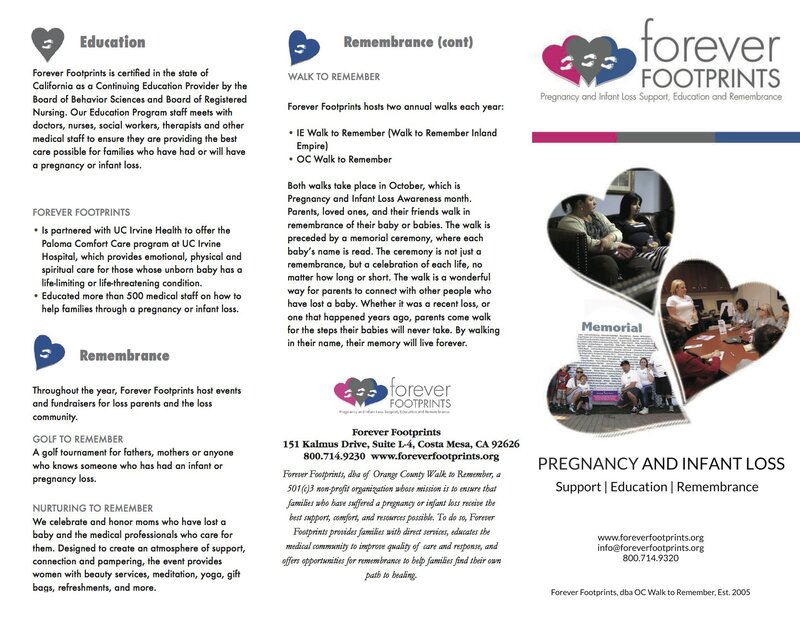 Forever Footprints provides pregnancy and infant loss support, education and remembrance. If you are in need of support please contact us!